You’re so punny! I love it! I’m doing my best to get this important story out there. an egregious crime. nothing is worse than anticipating to bite into your chicken salad sandwich accompanied by a Twix, only to see them gone. and then your highlight of your day becomes setting a new high score for Minesweeper. that would not be a great day. This cop should be held responsible for all the crimes his colleagues weren’t able to solve because they were too malnourished to work effectively. Is this a real story in Texas? No wonder we have tomato wars with them! This is the first I’ve heard of any tomato wars with Texas. I would absolutely support some form of attack on Texas and tomatoes might be as good a place as any to start. Didja see his defense? He said he was just keeping the refrigerator clean. I wonder if that excuse would work for me if that officer caught me dusting the diamonds down at the jewelry store? I read another article that said one of the items stolen was 60 lbs of sausage; his excuse makes sense if you consider keeping 60 lbs of sausage in your work refrgerator is obviously taking advantage of the system. After all these years of searching for the Hamburglar, the police find out he is one of their own. 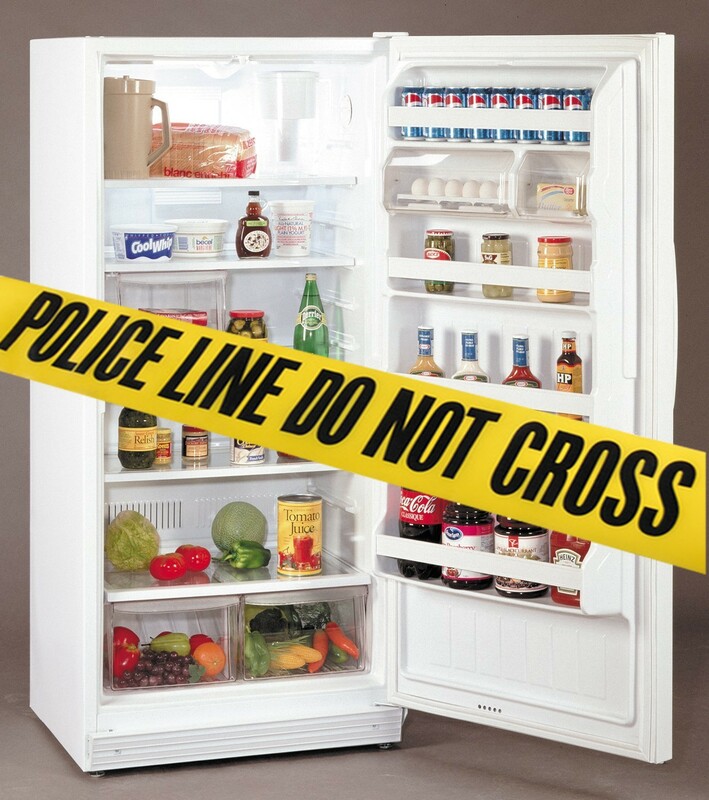 This story will only embolden the Hamburglar and other food thieves everywhere. Getting caught will certainly put a damper on his career hambitions. I mean really, it was probably all just gonna go bad anyway, so he was doing a public service. Cop cops to copping a pop. Local Pig found eating neighbor’s ham. Cannibalism charge expected. Officer pleads no contest; defends his training for food eating contest. Poor form, Darla; these are too good. 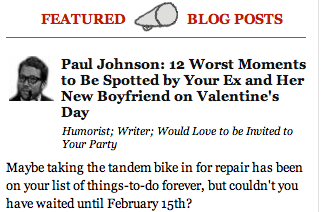 I’m not going to compete with you on my own blog. What if there was a trophy at stake? And the odds of me winning it were none to none? What’s the charge for shooting the food in the break room refrigerator? The article said he was suspended for 30 days but not fired — I wonder what his first day back at work will be like. I wouldn’t be surprised if his colleagues give him the cold shoulder. At a bare minimum they need to put his picture on a ‘Wanted’ poster on the break room door. Hell, I’d steal someone’s pudding too in heartbeat. Specially if it’s butterscotch. I can kind of see his side of the story since pudding is pretty delicious. I have been working on a post, with flowchart, for when it is okay to take someone else’s food from the work refrigerator. I once discovered a resident (doc) eating MY dinner with MY stethoscope around his neck. I was, to say the least, displeased. I always thought hospital breakrooms were the worse for missing food crimes, but perhaps I was wrong. I still can’t believe people actually steal their colleagues’ lunches. And stethoscopes. Purloin is such an underutilized word; I’m glad you threw some work its way. Oh, let’s face it, you’re better at these than anybody else. Ha! I like the ‘Rye Smile’. I was wondering if you might help me out…El Guapo and Edward Hotspur gave me quite a bad time the other day, and I thought it might be fun if some of us bloggers who frequently see their sites would mention “conspiracy” or some form of the word in any comment we make on their blog tomorrow. The idea is to get them thinking that it is weird that so many people are talking about conspiracies…but we should still be subtle enough that they won’t figure out there really is a conspiracy to quickly. He swallowed the in-fridge surveillance camera that was concealed in a cheesecake. It was a lucky thing to happen because now he can get treatment for a couple of previously undiscovered, and very nasty, polyps.